We’re a beehive of activity these next few days. Finally, after months of construction and change, our new building is ready for us to make her our new home. Even as I write these words PS’ers are traversing Sterling Drive moving personal items and computers across the street to our new digs. 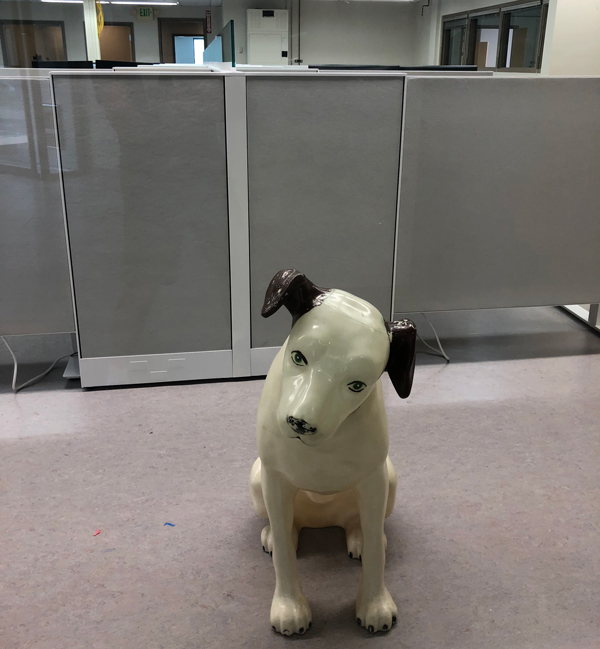 Check out Nipper guarding our new entryway. Our favorite RCA dog makes sure only those in love with HiFi and music enter the front doors. It’s as exciting as it is disorienting. 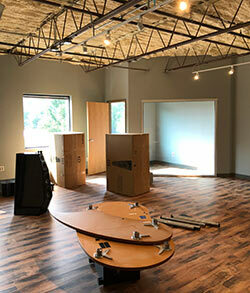 Gus Skinnas’ new SACD Center mastering studio is finished and equipment is being hoisted up the stairs and plugged in. 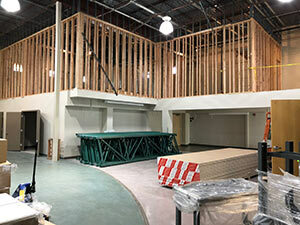 Soon, some of the world’s best recordings will come out of this new state of the art studio. And our three new Music Rooms are well underway too. I can’t remember a time when I was more stoked about the company and its future. As soon as it’s time to move the IRSV I’ll do another video series showing its takedown as well as resurrection in its new home, one of three state-of-the-art listening rooms. For those planning pilgrimages to PS we’re just as happy to see you and walk you through what we’re doing as always—you’ll just have to pardon our dust. Once we’re up and fully functional we’re going to plan a big shindig to celebrate. We’re planning it now. We’ll welcome as many guests and dignitaries as we can fit: perhaps Boulder’s mayor, a live band, cocktails…heck, the imagination runs wild. I’ll do my best to keep you informed of our progress. Next week will be a little rocky with respect to the phones and our email response time. Going to be a little slower for a day, but then we’re back up and running. Stay tuned for details on the upcoming celebration. We might have some surprises up our sleeve. 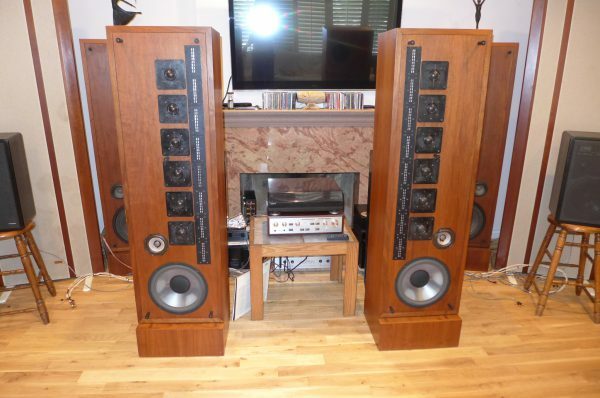 Over on Paul’s Daily Posts, we’re exploring the world of the line source loudspeaker, specifically Infinity and its history of promoting this often overlooked technology of speakers less vulnerable to room vagaries. Line sources also have a very wide sweet spot with sometimes unparalleled imaging rarely heard in point source designs or hybrids. It’s an interesting short mini-series which you can start with this post, then move on to the rest as time permits. 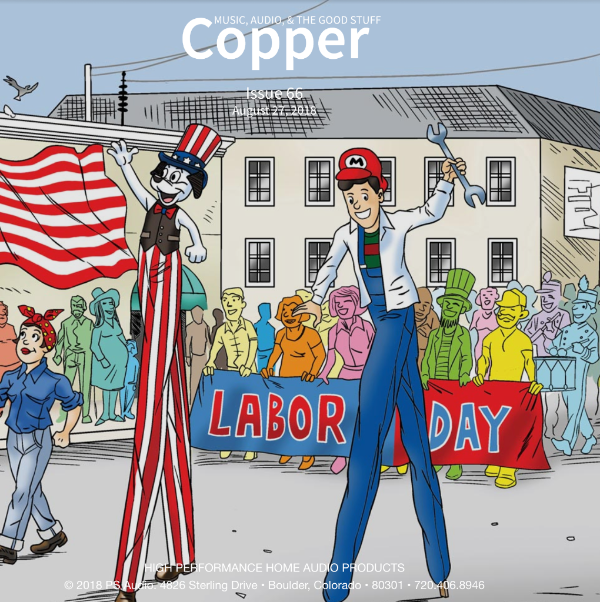 Copper is cost-free, ad-free, and committed to great articles without an attitude. 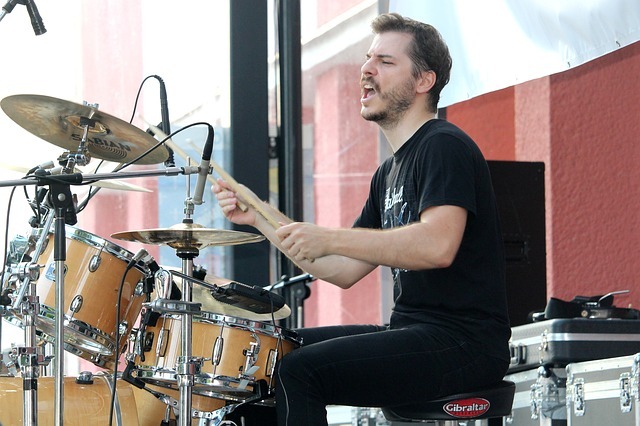 “The surest route to a drummer’s heart? Cymbals. Most of us still have our prized collection of CDs or vinyl but increasingly streaming is creeping into our lives. Spotify, Tidal, Amazon, Apple and now, YouTube: the Google-owned internet juggernaut has entered the fray. Soon the French company Qobuz will be here too. Like Spotify, YouTube Music will offer an ad-supported free incarnation — minus some key features. 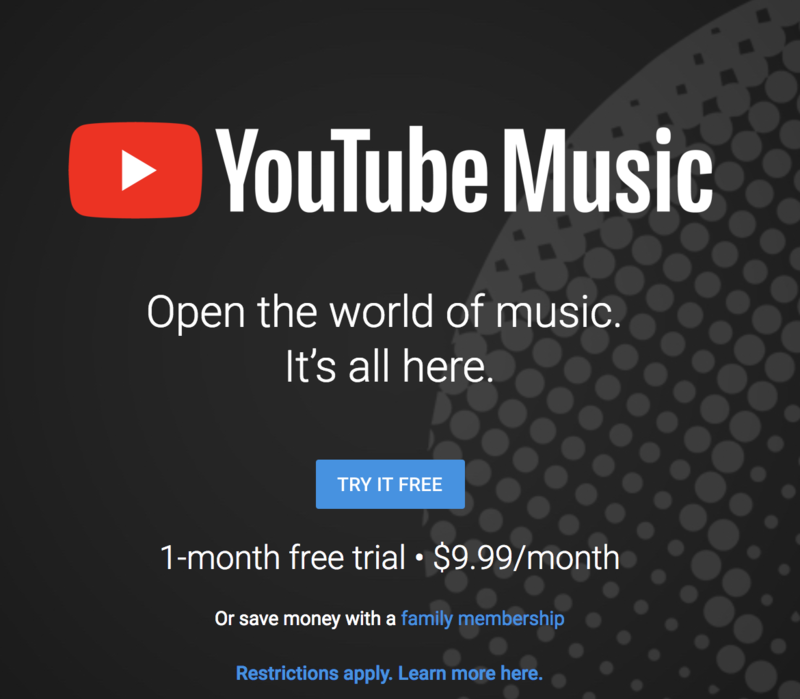 For those, you will need to upgrade to a $9.99/month YouTube Music Premium subscription, which will serve you with offline access. As best I can tell it’s another (yawn) medium resolution app with no pretensions of going high end. On the flip side of this coin is Qobuz’ announcement they will launch their premium high resolution service in North America at Colorado’s RMAF show this October. We’ve been playing with Qobuz and streaming at a full 192/24 and can report it is without a doubt the best sounding streaming service yet.